After a very much needed almost 3 month hiatus, I’m happy to announce that I’ve accepted a full-time job at Girl Scouts of the USA as their Senior Email Marketing Specialist. I’ll be spending my time helping to standardize their email programs across 112 councils all over the country, writing documentation, educating marketing teams about email best practices, and being their go-to person for my favorite ESP. While it’s obviously very much still in the email world, it’s taking a step away from mass producing emails every day, and it’s exactly what I want to be doing. I start next month, and I’m extremely excited about it! In all of the years that I’ve worked in marketing in various industries, I’ve learned that I’m much happier when I’m marketing a product or service that I genuinely believe in and care about. While that’s not possible for every job and every company, I’ve found that it’s something I need to be successful and happy in a job. That’s why I’m absolutely positive that this is the perfect fit for me. 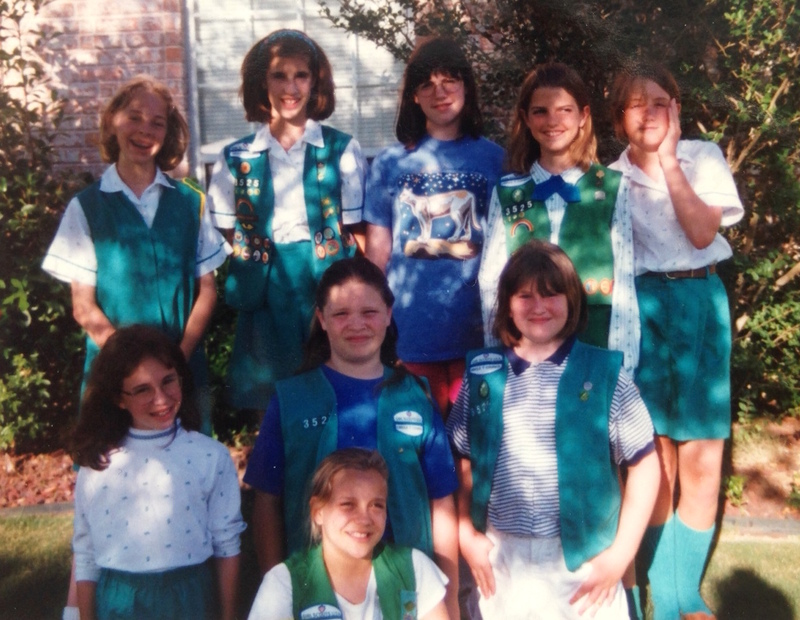 I’ve been involved with Girl Scouts since I was 5. I started Daisies when I was in pre-school, then I continued through Brownies and Juniors over the next 7 years. I remember making a point to sell 350 boxes of cookies one year so that I could go to a 13-day horseback riding camp for free. I loved being a Girl Scout. 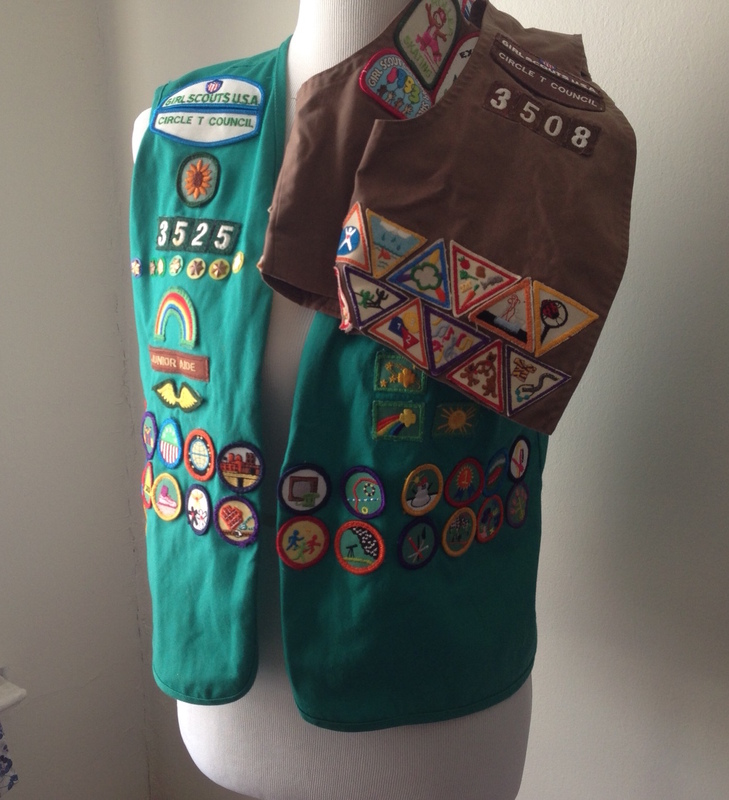 My mom was our troop leader, and most of my happy memories from when I was that age have to do with Girl Scouts. In the summers when I was a kid, I’d spend hours reading and re-reading my Girl Scout handbook, looking for fun craft projects to do and badges to work on. Twenty years and a bazillion moves later, I still have both of my uniform vests. In the last few years, living in NYC and not knowing any girls here, my involvement had been reduced to buying a lot of cookies (often online, pre-Digital Cookie, from friends in other states who have kids) and liking and sharing social media content. And, of course, being a Girl Scout cookie bakery hipster (according to my brother. I prefer “expert.”). Anyway, I’m really excited that my job is going to be with an organization that’s very near and dear to me. Plus, you know, there will be cookies. If you haven’t heard about it yet, Girl Scouts are making great strides in advancing their programming along with technology. With the recently launched Digital Cookie program, girls can create their own websites to sell cookies, allow customers to pay with a credit card, and sell cookies via an app. After working in techy startups the last few years, and seeing how underrepresented women are in the tech world – I cannot tell you how thrilled I am to have the opportunity to contribute to a program that will get girls interested in tech and digital marketing at an early age. I’ll start the job in late March. I’ll be spending the next few weeks wrapping up some freelance projects, going on a vacation with good friends, shopping for professional clothes, and trying to teach myself how to organize an Outlook email account at the same level of OCD that I take with my Gmail accounts. (Any tips on that, pretty please? I haven’t used Outlook in a while.) The break that I’ve taken the last few months was an excellent choice for me. I knew I was burnt out and needed to take some time off, but I didn’t know just how badly I needed it until a few weeks in, when I was finally able to stop feeling guilty when I felt like spending an afternoon relaxing instead of trying to figure out my next professional move. But it also helped me realize that I actually really do enjoy working. I get more satisfaction out of doing something productive than watching five seasons of Friends on Netflix (but I’ve also learned to accept that it’s okay to sometimes count finishing a season of a show or clearing out a Tivo queue as “productive”). Re-charging is important and necessary in order to continue to do actual work, and sometimes we all need to take a moment and acknowledge that. I’m so happy that I’ve found a work environment that offers the level of balance that’s been missing from my professional life for a while and projects that I can’t wait to dive into. It’s been fun hibernating this winter, but now I’m refreshed, relaxed, and completely ready to go back to work full-time… in a few weeks.